Our E-waste Pick-Up Service is the perfect solution for business’s , organizations or municipalities that refresh their electronics in small or large quantities several times a year. SAMR’s highly trained personnel will come right to your facility and remove your e-waste so that you won’t have to worry about it. 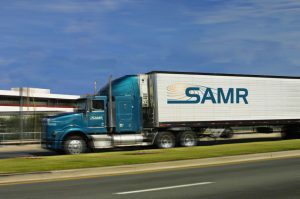 Security starts at transit and SAMR offers nationwide pickup services. With access to over a 150 trucks and trailers, our secure logistics coordinators will pick up your equipment at your location and transport it safely to our secured facility. If you have any questions about what can be placed in our containers please contact us at 732.370.4100.